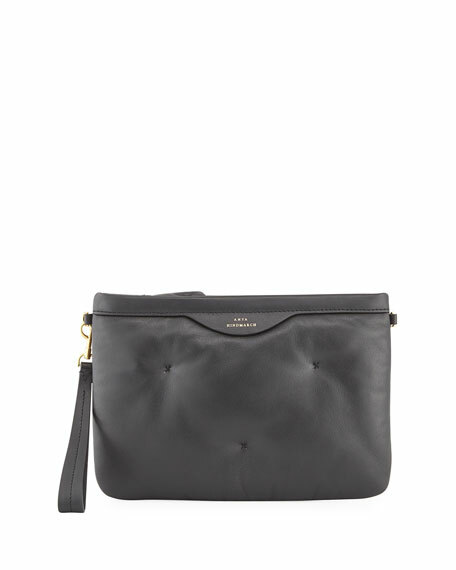 Anya Hindmarch crossbody pouch bag in soft napa leather. 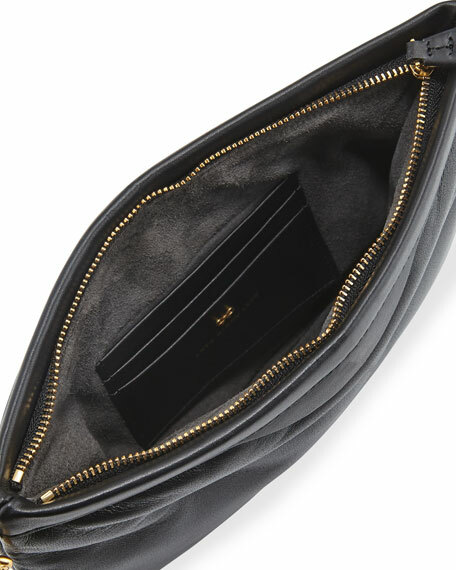 Interior, suede lining; three card slots. "Chubby" is made in Italy. For in-store inquiries, use sku #2479091. 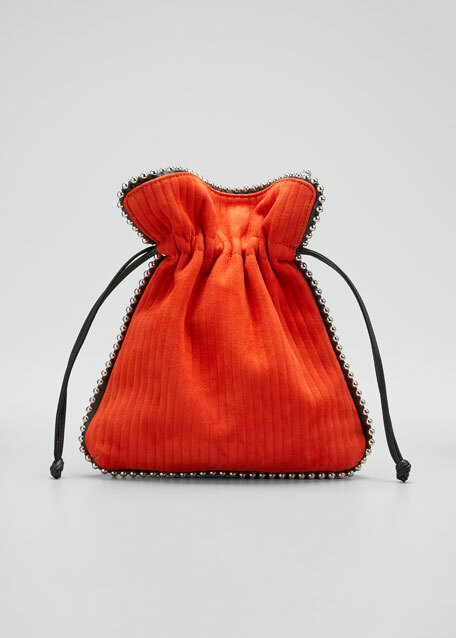 Les Petits Joueurs "Trilly" quilted suede pouch bag with ball-stud trim. Two-tone woven top handle. Detachable chain shoulder strap. Open top with side drawstrings. Inside, leather lining. 10.2"H x 8.3"W x 1.6"D. Made in Italy. 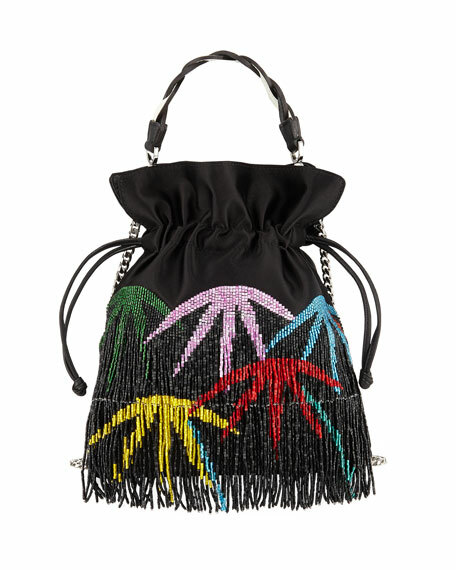 Les Petits Joueurs "Trilly" satin pouch bag featuring multicolor palms in beaded fringe. Twisted leather top handle. Detachable chain shoulder strap. Open top with side drawstrings. Inside, leather lining. 10.2"H x 8.3"W x 1.6"D. Made in Italy. Loewe small smooth leather crossbody bag with logo stamp. Designed in collaboration with Paula's Ibiza. 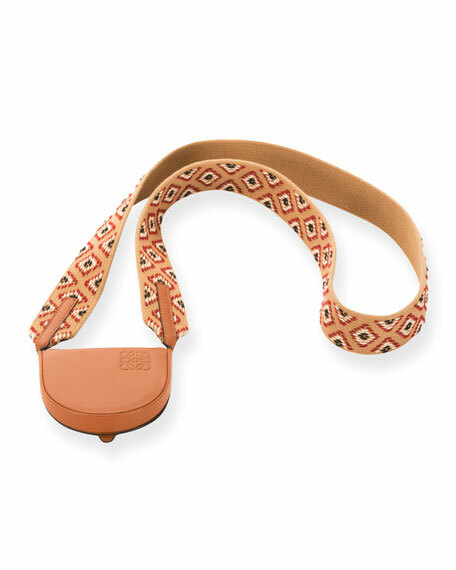 Southwestern-embroidered web shoulder strap. Flap top secures snuggly at base. 3.1"H x 4.7"W x 0.8"D. Made in Spain. 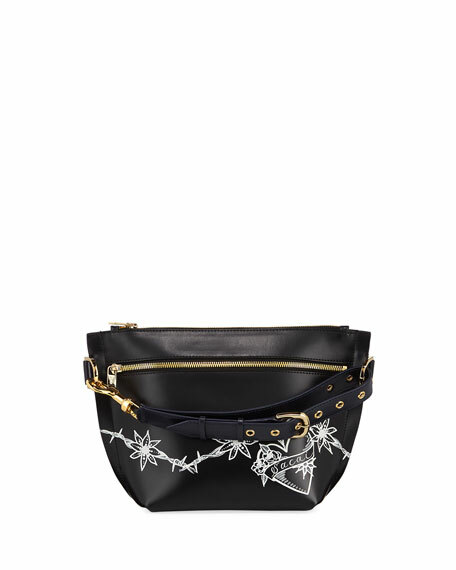 SACAI leather pouch shoulder bag with barbed wire flower and logo heart tattoo print. In collaboration with Hollywood tattoo artist Dr. Woo Adjustable top handle. Zip top closure. Exterior, front zip pocket. Interior, leather lining. Made in Italy.